Over Thanksgiving we had three of my children, two of my in-law children, and my two grandchildren with us for almost all meals. What's not to love?!! 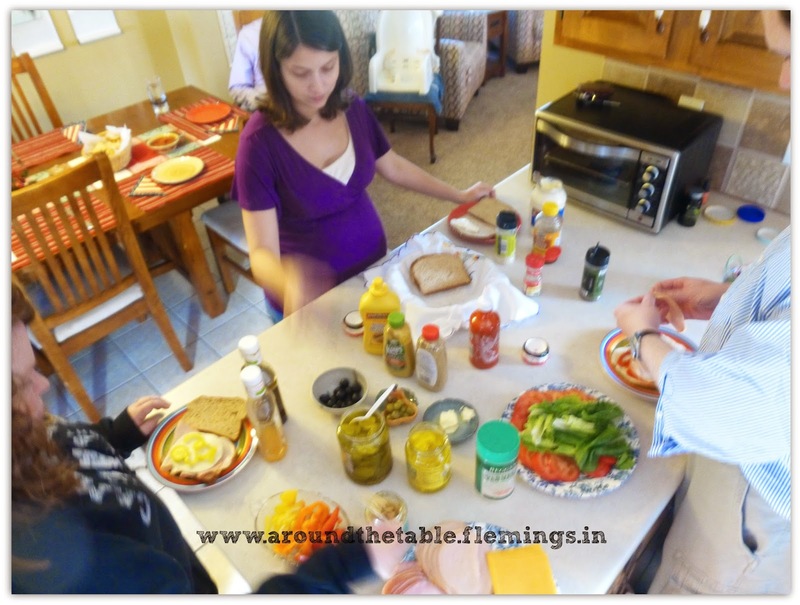 Whenever we get together we have one meal where we can each make our own. This year's suggestion came from my younger son and his wife and they also contributed some of the goodies including the bacon. What's not to love?!! 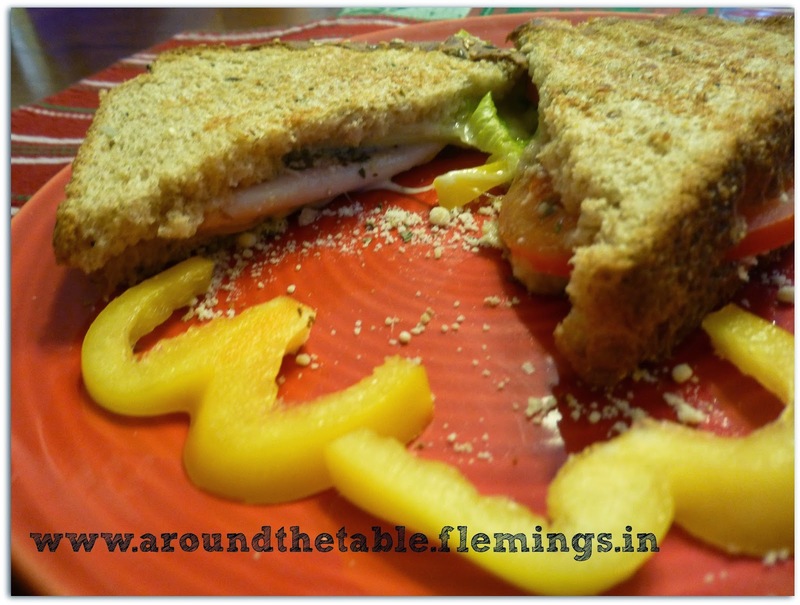 Panini sandwiches go for big bucks in restaurants...and do you ever really get the combination you want? It's easy to do at home and everyone enjoys making their own, wandering around the kitchen, puttering, examining what others are putting together, and, of course, eating! 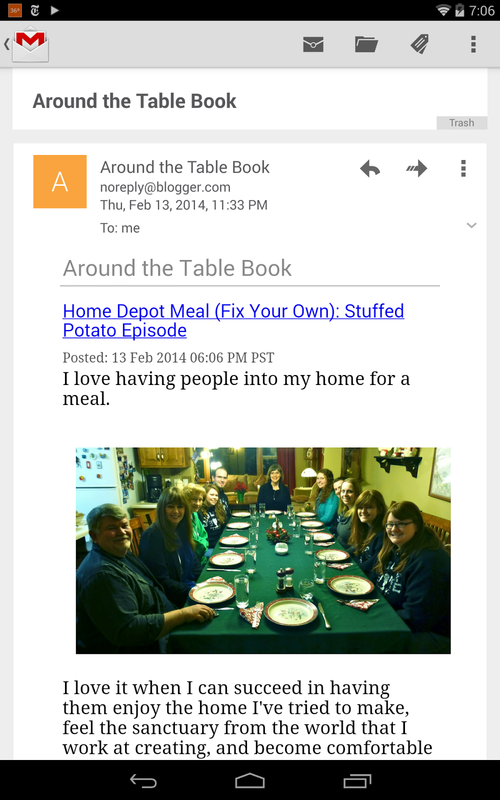 This could be a great, relaxing way for you to get together with family or friends over the holidays. For added fun, you can ask everyone to come up with a creative name for the sandwich they are making. That ought to be a conversation starter! It's really easy, too. Just set up all the possible ingredients you have in your fridge and pantry on an island or peninsula counter top or on a table people can walk around. Have a couple of panini makers, sandwich makers, or indoor electric grills set up and hot. (Make sure you won't be blowing a fuse with a trial run. If they do, find out which outlet is on a separate fuse and plug the second one in there.) Then call your guests to the kitchen and let them go to work! Lots and lots of cheese slices--these make the sandwich gooey and stick together! We had a great time. My son called his sriracha sauce, garlic, and banana pepper combo "Hot, Hot Garlic!" I called mine "Aristotle Gomez" for it's Greek (black olives) and south of the border (peppers) combination. What's not to love?!! 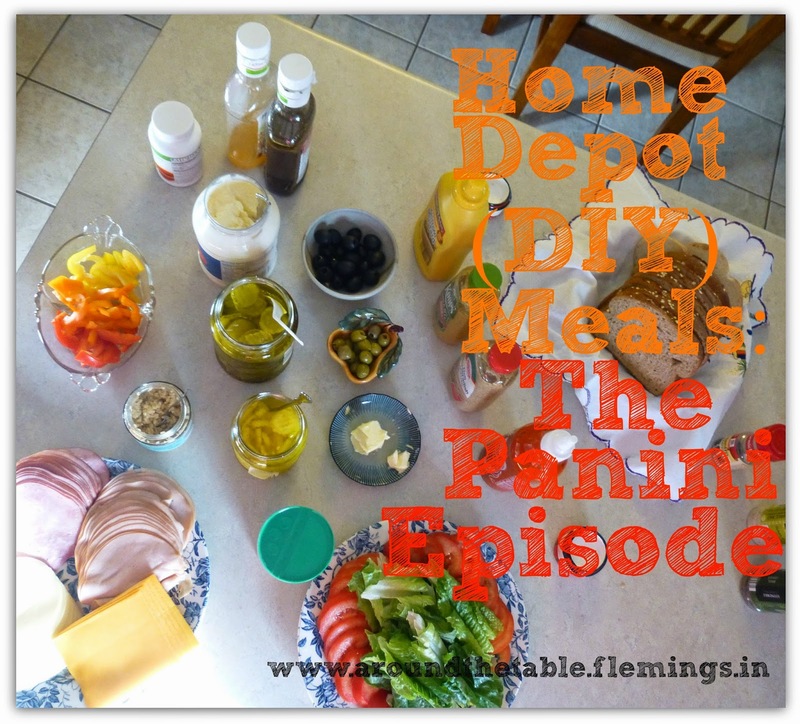 To get my other Home Depot (DIY) Meal ideas click here! 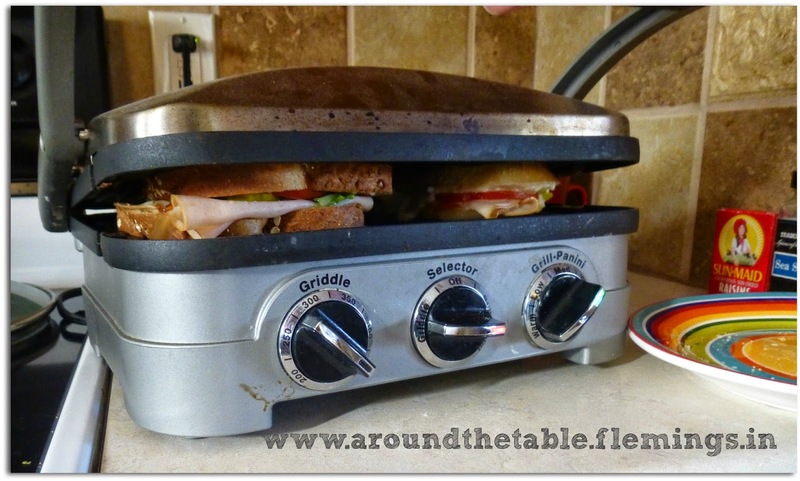 Do you have a foreman grill or even a waffle iron? Those would work, too!